Yahoo Faces Mayer Dilemma: Stay A Media Company Or Go Social? A drastic turn in Yahoo’s future could be announced tomorrow as the search engine company releases its first quarterly earnings report since it brought on Marissa Mayer as CEO. The former executive at Google has made some moves during her short tenure as the leader, but Reuters is reporting that the next announcement on the revival of the struggling search engine will be on Monday when it reports its quarterly results. For years, the company has become enamored with content creation, signing deals with ABC News, CNBC, and DailyMotion to share content, among others. But with the hiring of Mayer, the company is changing things up in order to restore the company to its former glory. And that means that it’s faced with its most complex decision in recent history: does it abandon media-sharing and content creation in favor of building out a more social product? Yahoo needs to find something that will bring people back to its network of sites and engage with the content more. 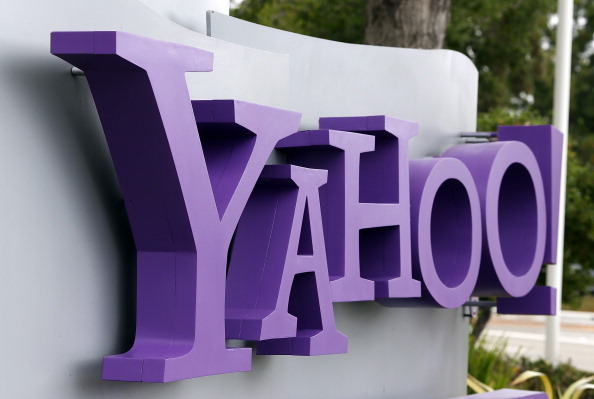 Reuters says that Yahoo has been criticized for allowing these sites to “stagnate” – there’s not much appeal to them and nothing will drive people back to it. Its CEO wants to make it more interactive, adaptable, and useful on the myriad of devices out there, including tablets and mobile devices. To that end, is abandoning its content sharing partnerships entirely the smart move for Yahoo? In its 2011 annual report, Yahoo recognized that its stiffest competition is going to come from Facebook, Microsoft, AOL, and, naturally, Google, all of whom offer a variety of Internet products that rival the search engine. Not only that, but advertising networks are helping to make it difficult for the company to compete for a share of advertiser dollars. With Mayer’s product-oriented background, Yahoo could find itself going after Facebook and Google to reclaim its honor. The company has acquired a lot of companies over the past 18 years, but has yet to fully integrate them into the fold. This new direction presents a 180-degree shift in direction set forth by Mayer’s predecessors and, as Reuters notes, could pose some risks, specifically abandoning media partnerships that have given the company incredible traffic, something championed by former CEO Ross Levinsohn. Earlier this year, there was an inkling about Mayer potentially taking the payment from the company’s sale of its Alibaba stake and using it to go after acquisitions of smaller companies, something that Google has been doing over the years. That plan never happened and the money went back to investors. Nevertheless, the opportunity for Yahoo to move and start acquiring small startups to build out its Yahoo social network is ripe for the taking. Just making improvements to Flickr to compete with the capability of Facebook and Picasa could be a great start to shift the company to a more social business. Other Yahoo-owned companies that could be folded into a potential social play include IntoNow, Dapper, Upcoming.org, and many others. And with Yahoo suing Facebook alleging patent infringement (and who ultimately settled), this could be the company firing its opening salvo across the bow of Facebook letting it know it’s here to compete. But with more advertising and media startups that it acquired over the years such as BlueLithium, Interclick, Associated Content, and others, it’s going to be interesting to see how Yahoo can move past its traditional monetization strategy of being all about content, not to mention search and email. We’ll find out more tomorrow as the company releases its quarterly earnings.